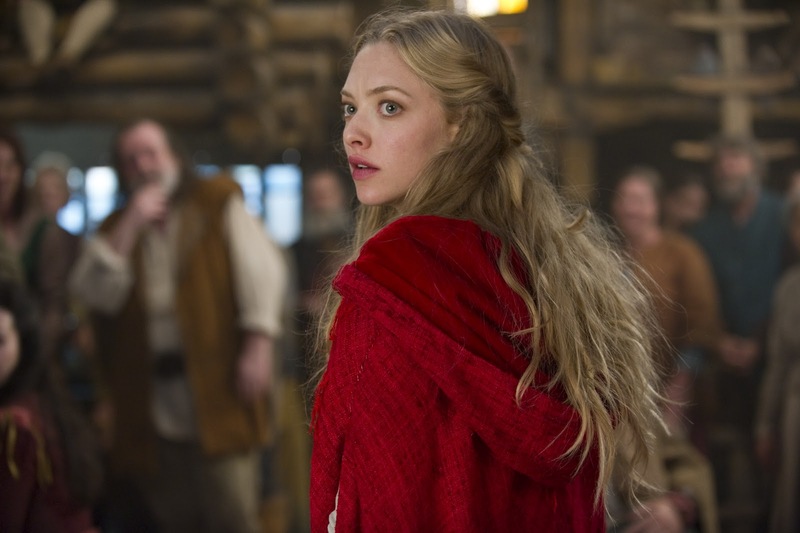 To borrow from the Sam the Sham and the Pharoahs song, Amanda Seyfried sure is looking good. What big eyes and full lips she has – the kind that drives wolves mad; she’s everything a big, bad wolf could want. 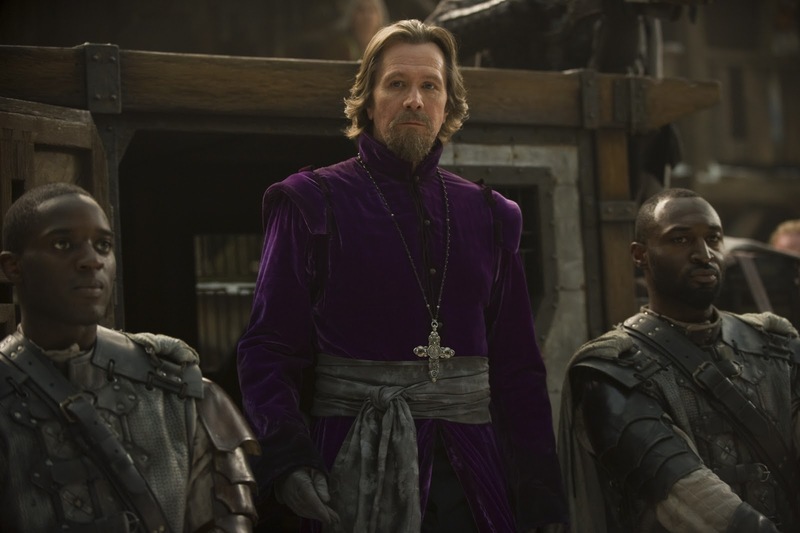 Even still, Seyfried’s (Letters to Juliet ) little Red Riding Hood romantic horror/romance costume drama, opening today, doesn’t blow but also amounts to little more than pointless huffing and puffing. The movie is set in the village of Daggerhorn, which looks as it sounds – like a Scandinavian town in Middle Earth during Medieval times. For decades Daggerhornites (Daggerhornies?) kept truce with a werewolf by setting out cute little piggies and other livestock each full moon for a lunar snack. The stakes change when Big Bad kills the older sis of Valerie (Seyfried), the prettiest gal in town, who is arranged to marry the wealthy blacksmith’s kind son Henry (Max Irons) but is really in love with woodcutter Peter (Shiloh Fernandez ). Before Peter and Valerie can run away, the menfolk enter the dark forest to take out the wolf on their own. In pursuit of the posse, Valerie meets up with her hippy Grandmother and dons the titular hood the first time. 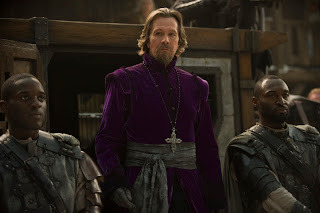 When that hunting party is less than successful, Father Solomon (Gary Oldman in Tim Curry’s Cardinal Richelieu outfit and haircut/goatee from The Three Musketeers ) arrives to spread some religion and reveal the wolf is one of the villagers, hiding in human form. After an extended pre-bacchanal celebration that recalls the rave scene from The Matrix Reloaded , which includes a little Black Swan girl-girl dirty dance sequence to tease Peter, Valerie learns she has a special connection to the wolf. As the film veers into territory best occupied by Arthur Miller’s The Crucible – with Solomon playing the role of Hathorne – Valerie must decipher her wolfie connection, choose between her two boys, fight off mean girls and avoid becoming a sacrifice/bait. Directed by Twilight helmer Catherine Hardwicke , the film is a direct descendant of Stephenie Meyer’s saga, right down to Bella-esque heroine, transformation existing only one bite/deflowering away, and a battle between two boys (the lovable but not loved Henry as Jacob, and romantic bad boy Peter filling in for Edward) willing to set aside differences for their love. And who plays Valerie’s pop but Billy Burke, the same actor who fathered Kristen Stewart’s Bella in the Twilight franchise. Perhaps not surprisingly from a movie couched in a centuries-old fairy tale attempting to cash in on the Twi-hard demo – with a smidge of religious paranoia thrown in - Red Riding Hood lacks originality. And the obvious “Peter And The Wolf,” woodcutter and little piggies references are just part of the problem with this harmless sheep of a film in wolf’s clothing. The dialogue is as familiar as the smoldering looks R. Patt has built his career around. Even the set design is reminiscent of a jacked-up version of the tree houses from another hood movie - Robin Hood: Prince of Thieves . To its benefit, the costumes fit the fantasy world with Val’s red hood looking as striking as it should. And it is a treat to see good actors Virginia Madsen (Sideways ), Michael Hogan (Battlestar Galactica ), Michael Shanks (Stargate ) and Lukas Haas (Inception ) in supporting roles, but their talents are wasted here. Also, the movie’s one original “twist” plays as unintentionally creepy. Red Riding Hood and the big, bad wolf doesn’t offer much to be afraid of, but if Twilight fans just need something to fill the time until Breaking Dawn hits, my what big box office receipts this movie will have.